Kodi “Leia” 18.2 was released a day ago with numerous bug-fixes and performance improvements. Here’s how to install it in Ubuntu 16.04, Ubuntu 18.04, and higher. Fix performance and dependency regressions in GLES rendering path. The Kodi stable PPA has made the new release packages for Ubuntu 16.04, Ubuntu 18.04, Ubuntu 18.10, and their derivatives. Type user password (no asterisks feedback) when it prompts and hit Enter to continue. 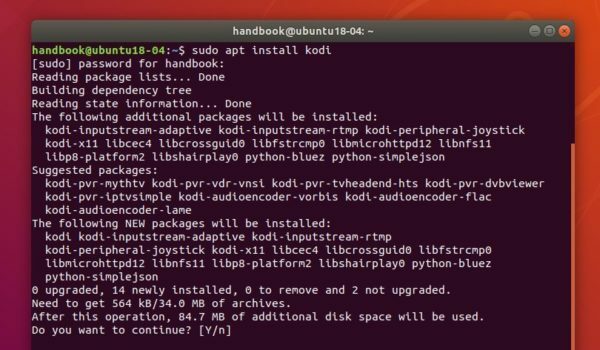 For Ubuntu 18.04 and higher, you can skip the apt update command. To remove the Kodi PPA repository, simply open Software & Updates -> Other Software. Kodi media center, formerly known as XBMC, released the new stable 18.0 “Leia” a day ago. 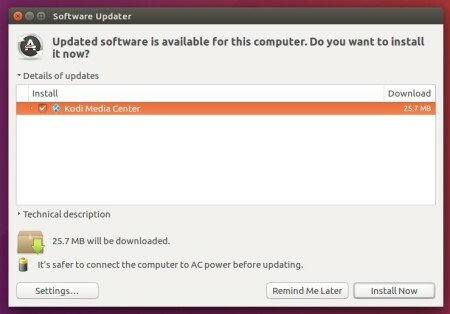 Here’s how to install it in Ubuntu 16.04, Ubuntu 18.04, Linux Mint 18.x, 19.x, and higher. Live TV improvements, support for Zattoo, Teleboy, and Sledovanitv.cz. Full voice functionality on the main Android TV. Improvements to audio and video playback, and Blu-ray support. To remove Kodi, run command in step 2. Kodi media center, formerly known as XBMC, reached the 17.4 release a few days ago with a bunch of bug-fixes. Here’s how to install it in Ubuntu 14.04, Ubuntu 16.04, Ubuntu 17.04, and their derivatives. Fix issue for users with reverse proxies attempting to forward websockets. Kodi has an official PPA that contains the latest packages for Ubuntu 14.04, Ubuntu 16.04, and Ubuntu 17.04. Input your password (no visual feedback while typing) when it asks and hit Enter. Once installed, log out and log in back with Kodi session, or launch Kodi from Unity Dash, Gnome app launcher, or other app launcher. 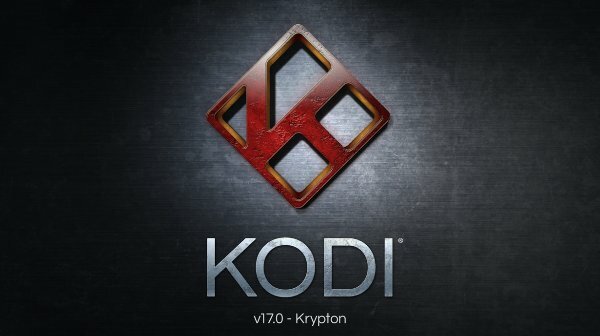 Kodi 17.1, the first bug-fix release for the v17 “Krypton”, has been released and made into PPA for Ubuntu 14.04, Ubuntu 16.04, Ubuntu 16.10, and Linux Mint 17 & 18. Once installed, you can either launch Kodi from app launcher or select log in Kodi session at login screen. Kodi, formerly known as XBMC, finally reached the new stable 17.0 release. 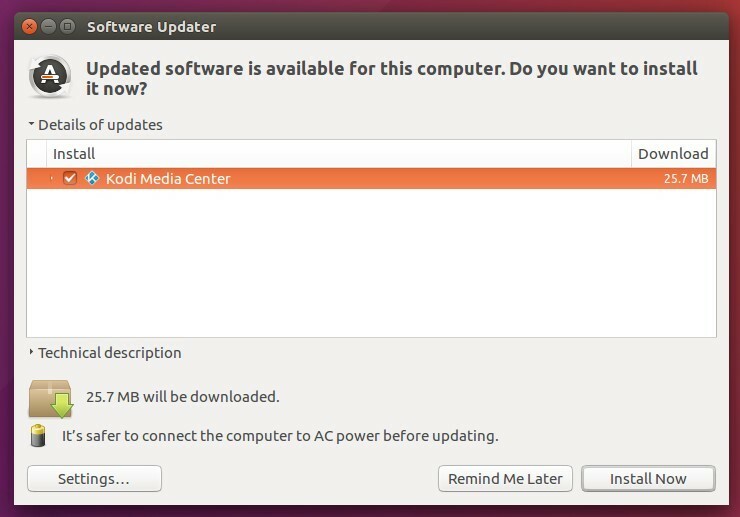 Here’s how to install it in Ubuntu via PPA. Kodi 17.0, code-name “Krypton”, brings updated default UI, better organisation of settings, and many under-the-hood changes on Video Player, Music Library, PVR, audio on Android, and thousands of small bug-fixes and improvements to stability. New default skins “Estuary” for TV, and “Estouchy” for touchscreen devices. New inputstream add-ons with more protocols support. Android implementation, and a wide variety of other changes. 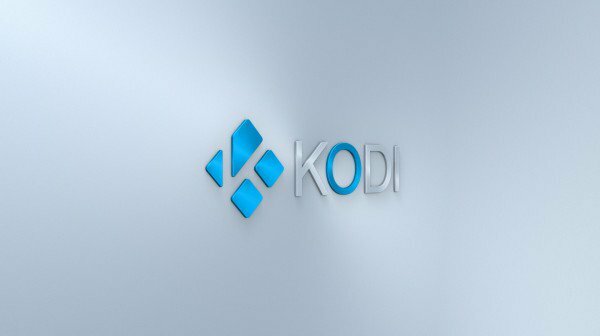 The Kodi Team announced that the official PPA will be updated soon with the new packages, available for Ubuntu 16.10, Ubuntu 16.04, Ubuntu 14.04, and Linux Mint 17 & 18. Once installed, you can either launch Kodi from app launcher or log with Kodi session when you’re in login screen.